Basic ingredients - 1 part Justin Tisdall, 1 part Bryan Satterford and 1 part Cord Jarvie...fun and cozy with attention to detailing the space so that it's as soulful as the food. 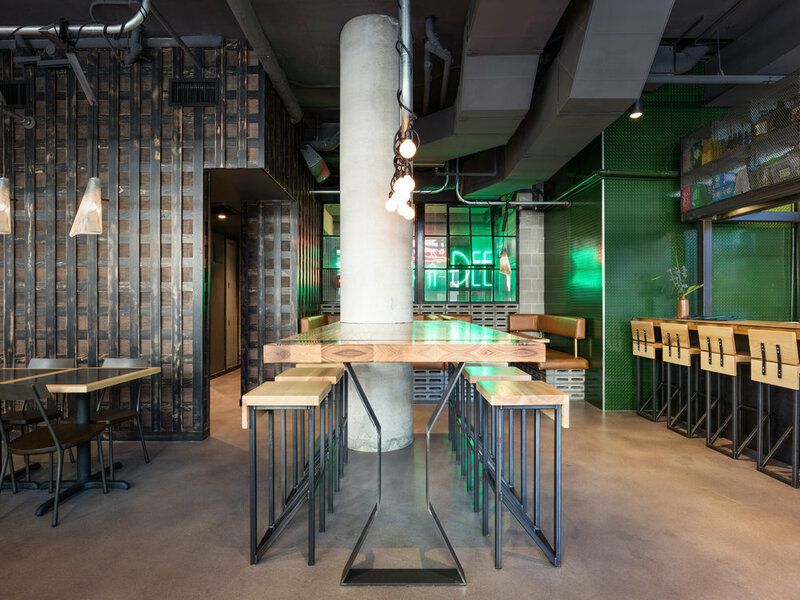 The challenge was to incorporate two very different elements, the take-out and bar, while having the space feel cohesive, transparent and connected. We began by organizing and prioritizing the program. 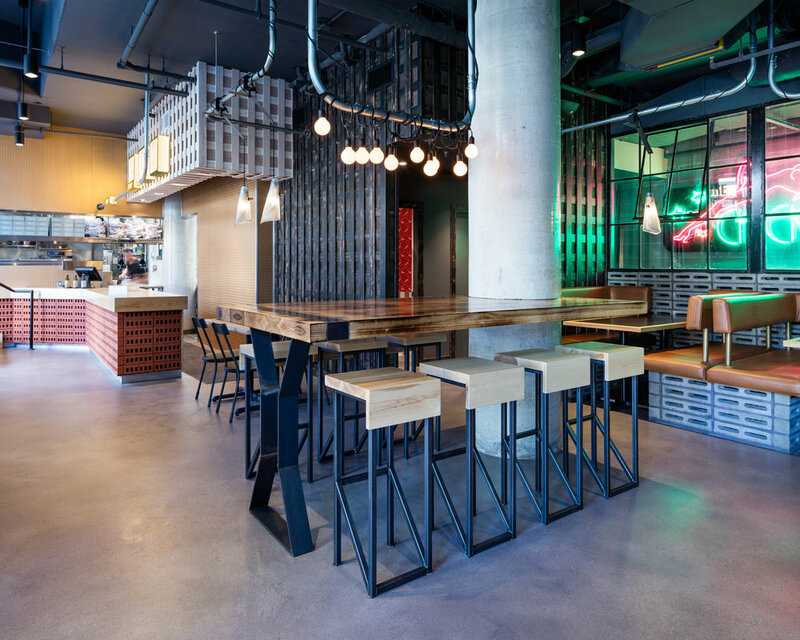 Through this process, it was evident early on that a juke joint should centralize and prioritize the dining area, it is the heart of the space and should not be push it off to one side or relegated to the corner. 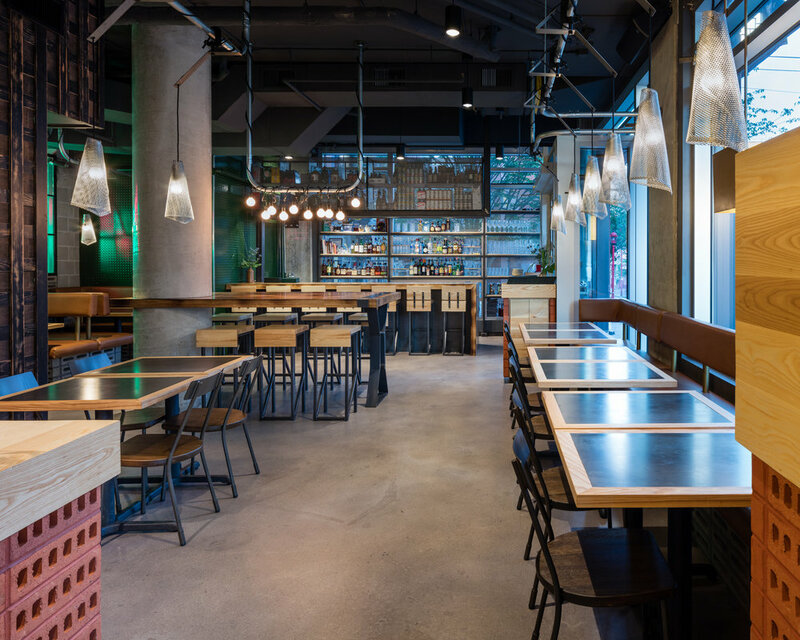 The balance of the program is all arranged and designed around the dining area, providing transparency and access to the activity in the kitchen and bar. We also considered the streetscape and patio space to be a kind of 'theatre of dining', to this end we even replicated a faux alley with reclaimed antique foundry windows and an old 'found' neon Chick-a-Dee sign that Cord had in storage, just waiting to be repurposed in the right context. 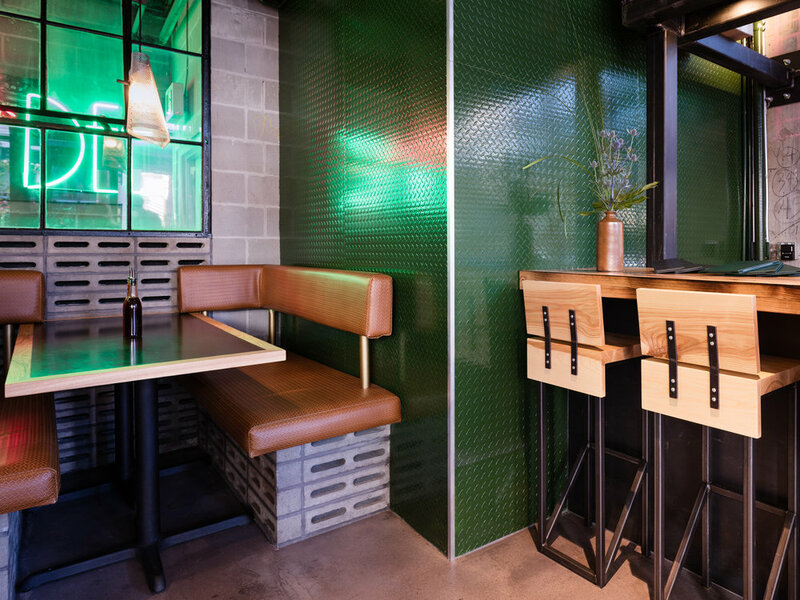 In addition, to maintaining the design vocabulary, we included custom booths, tables and stools. The final result, a space that is very much a mix of modern elements, eclectic moments and cozy pods. It's a juke joint! Battle of the booths @scoutmagazine.